Is it away to change the width of columns in Matrix (change in JotForm)? For exampel that change the width on column "benämning" to 15 instead of 5 that is default now? You can inject CSS to your form in order to change the width of the text boxes in your matrix table. 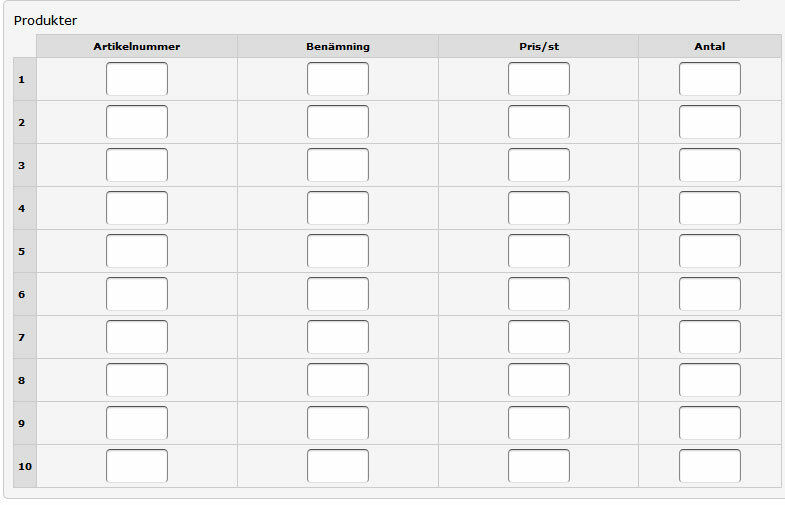 But if i only want to change the width in the Matrix and on one column for exampel "Benämning". Which css code should i use then? If you need to change one column size, you will need to download and se the form source code and assign an id or set the width internally. E.g. I have moved your thread here because we prefer to keep issues separate from one another so that we can avoid confusion while answering your questions or issues individually.